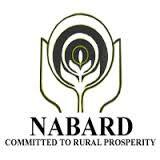 NABARD Development Assistant / Development Assistant (Hindi) Main Exam Call Letter Out : NABARD has released the Call Letter for Development Assistant MAINS EXAM 2016. Recruitment of Development Assistant / Development Assistant (Hindi) MAINS EXAM will be held on 8th December 2016. The candidates who have qualified for Main Exam may download call letters from the following link.